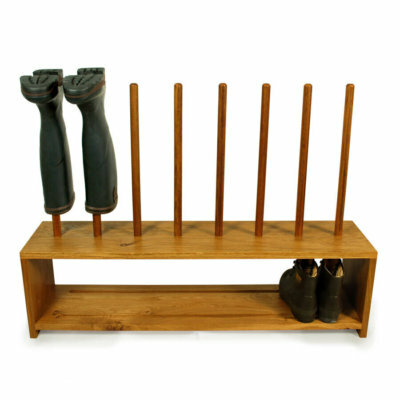 ∙ Shoe storage rack hand-crafted in solid Oak. 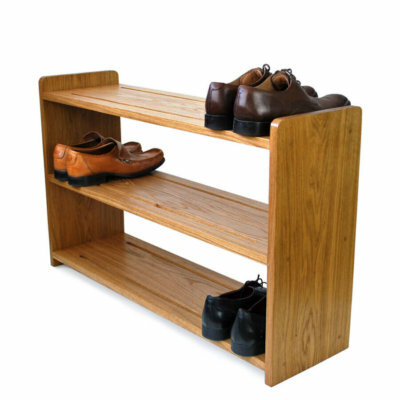 A simple product done properly, the Oak Shoe Rack is a firm favourite. With two or three hand-shaped slotted shelves in a variety of widths, we have a rack to fit most spaces. Our Oak Shoe Rack is designed and handmade with care, here at the Boot & Saw workshop in Cornwall, using only the finest quality solid European Oak. Generously proportioned to store everything from your favourite shoes to chunky walking boots too. Elegant in its simplicity, the Oak Shoe Rack is the perfect addition to your boot room and slim enough to fit in a hallway with a range of sizes to suit almost any space. Simple adjustable feet prevent wobble on uneven floors. Supplied oiled, ready assembled and finished to the highest standard, you can be sure your Oak Shoe Rack will last a lifetime. Designed and hand crafted in house, each Oak Shoe Rack is hand-made using sustainably sourced timber from managed forests. We use European Oak, which naturally features a beautiful colour and grain and, unlike American Oak, doesn’t have to be shipped from across the World. A robust and durable hardwood, compared to softwoods and man-made materials, Oak stands up better to daily wear and tear. If you want the best available, Oak is it. 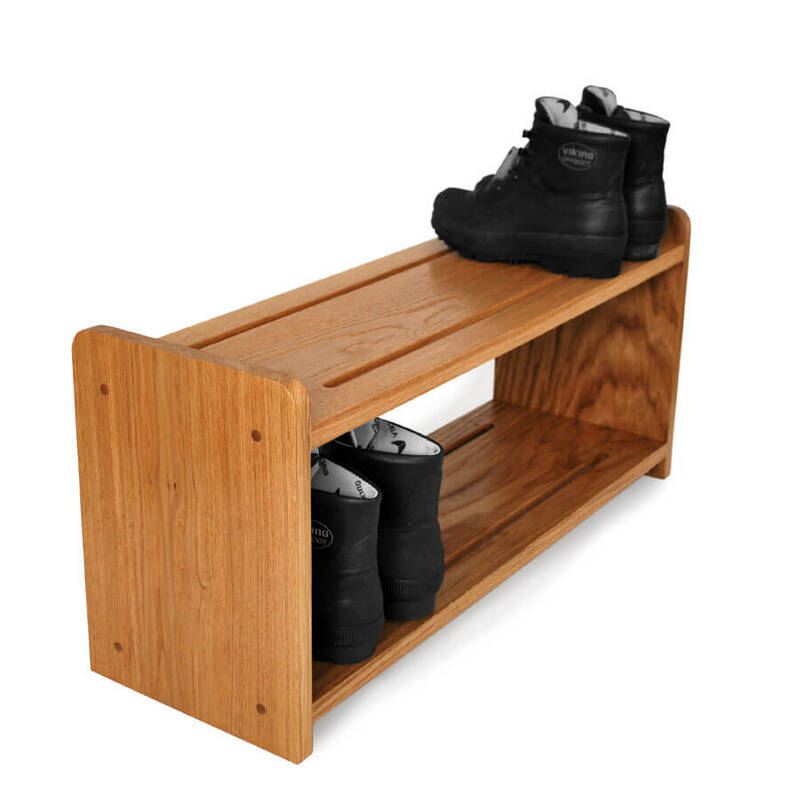 Our Oak shoe storage racks are oiled with Osmo Polyx oil for a durable and hard wearing satin finish that brings out the natural colour of the wood. Osmo oil contains only natural ingredients and is quite simply the best finish on the market. 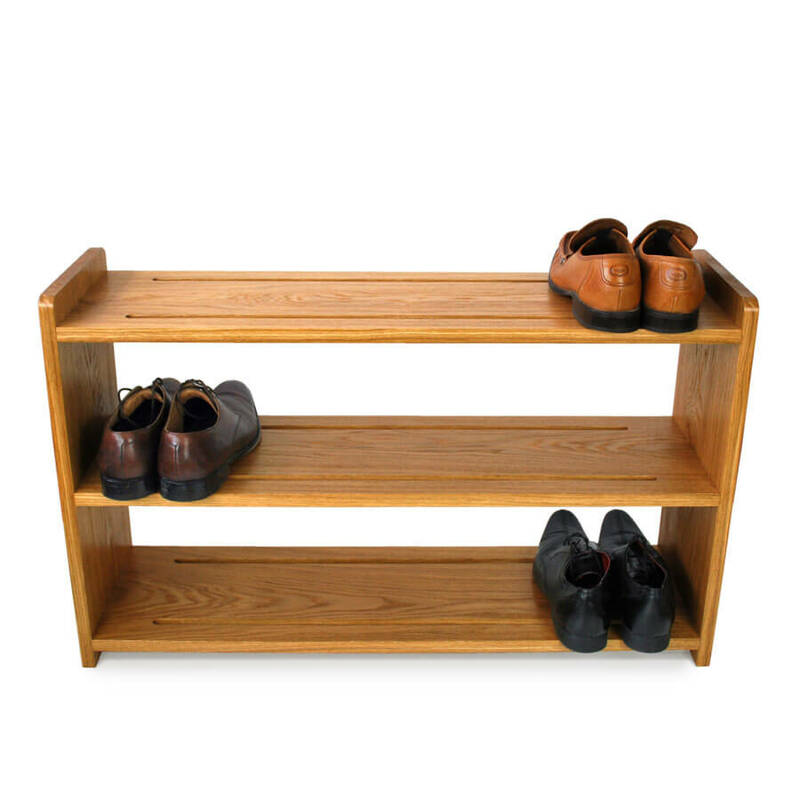 Our Oak shoe rack is available in a range of widths with 2 or 3 shoe shelves, but if you have a space that requires something bespoke, just drop us a line and we’ll be happy to help. We make everything to order so custom sized racks are no problem. Received in perfect condition. The Rack itself is fantastic and all we expected. Well done. A well packaged lovely piece of furniture, and a joy to find something like this not neeeding self assembly. 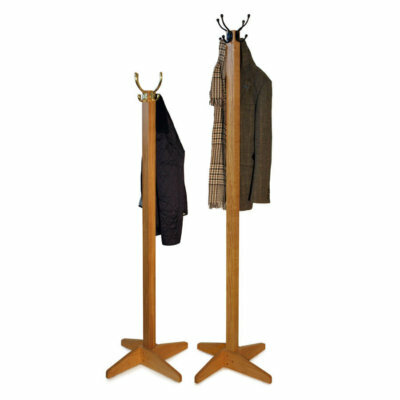 Excellent product and customer service again, we recently bought an oak coat stand and both have definitely met our expectations. Great quality products. This piece of furniture is extremely well made and looks exceptional in our hallway. It is of very high quality and has plenty of room for shoes. We purchased the 4 pair wide shoe rack and it certainly takes 4 pairs of very large men’s boots. We had this sent to Northern Ireland and it was extremely well packaged and arrived in perfect condition. We were kept informed of progress every step of the way. The level of service has been excellent from start to finish. We highly recommend this company and its customer service. Beautiful simple and solid construction with excellent finish. Now installed in the dining room and the sea of children’s shoes is back under control. Also thanks again for the wonderful customer service. The shoe rack arrived safely and packaged extremely well. This was beautifully made and crafted. My husband was thrilled he could sort all his shoes and have them displayed. I would absolutely recommend this company. Many Thanks from a very happy customer who would certainly purchase again from this website. Customer service excellent too, offering that personal approach which is something I value in companies today. We were so impressed with the oak coat rack and umbrella stand that we bought recently that we also bought the two pair shoe rack to match. They are amazing quality and look stunning together. Many thanks to Tristan. I ordered a three-shelf boot rack. It arrived very well packed and in perfect condition. The rack is very sturdy and well made. In fact, it’s a beautiful piece of furniture; almost too nice to be used as a boot rack! Excellent shoe rack – really well made and looks really good too! Five star service and delivery. Very solid shoe rack in a gorgeous mellow oak. Very pleased with our new shoe rack (132cms x 3 shelves). Just one change in that we ordered the shelves with no slots so dirt can’t fall through. Very happy with both the boot rack and the level of service. The rack arrived in perfect condition and is not only beautiful but does also a great job. It’s a wonderful addition to my entrance. Tristan was extremely helpful during the lengthy delivery process to my country. Thanks again for everything. What a beautiful shoe rack Tristan, so well made with love! Well protected in it’s packaging and on a pallet for extra protection! Looks amazing in our vestibule! Really pleased with the shoe rack. It is beautifully made and of high quality. It was made promptly and very well packaged to avoid any damage in transit. Beautifully made and promptly delivered in excellent packaging. Well worth the money. Very happy with the shoe rack. We’ve been looking for something to tidy up shoes in the hall for a long time. This is beautifully made and looks really good. It came really quickly too. Absolutely delighted with the beautifully made and very sturdy oak shoe rack. It completes our hall and gives a large quantity of shoes a real home! I had spent ages looking for a stylish, shoe rack that would compliment our other furniture and this works beautifully. Thank you, I would highly recommend the product and service. This is a beautiful piece of furniture – extremely high quality and evidently made with care and real attention to detail. We love it! Thank you! So far so good. Arrived in pristine condition, and are doing the job as intended. I received this yesterday, in perfect condition and matches the coat stand that I purchased a few years ago. Thanks very much.